Let me just check this text quick…. So you are driving down the road, and your smart phone, sitting on the seat beside you rings – do you pick it up? Does your car’s infotainment system allow you to read text messages while you drive? Do you fiddle with your GPS as you head down the highway? Do you keep up with your Facebook while driving? Did you know that sending or receiving a text while traveling down the highway at 55mph takes your eyes off the road for an average of about five seconds – that’s long enough to travel the length of a football field! 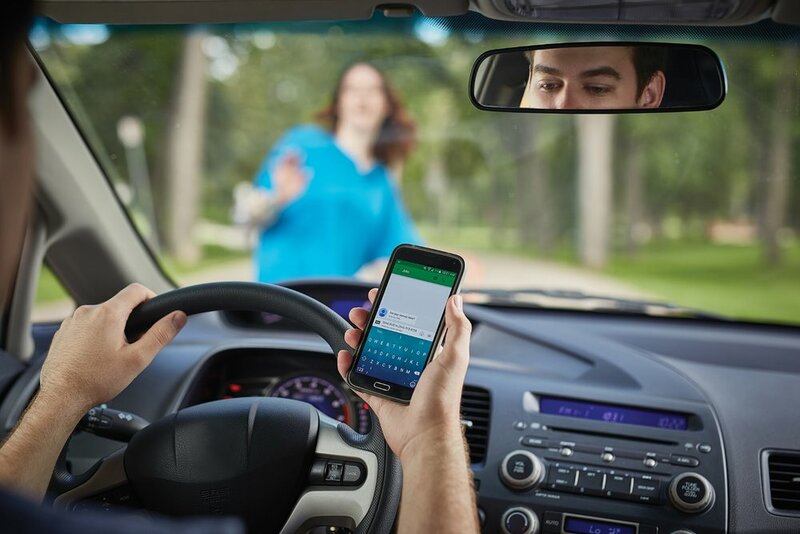 Distracted driving is fast becoming more and more of a societal problem. In a report broadcast on October 5, 2017, NBC News reported that there is one highway death related to distracted driving every 2 ½ hours (nationally). The Centers for Disease Control and Prevention estimates that in 2015, more than 390,000 people were injured in a traffic crash involving distracted driving. As technology becomes more and more integral to our lifestyles, it becomes an issue that cuts across age groups, socioeconomic status, and other demographic barriers. Indeed, the ever advancing pace of technology has lead to more and more ways in which we all can become distracted. The Law Office of Joseph A. Blaszkow is committed to working towards curbing the frequency of avoidable traffic accidents and related injuries. The Alexandria Injury Attorney recently participated in the 5th Annual Distracted Driving Summit, sponsored by DRIVE SMART Virginia. Traffic safety professionals from around the country gathered to explore best practices related to educating and reducing the frequency of distracted driving incidents. Mr. Blaszkow is available – at no charge – to present an award-winning program to schools, businesses, and community groups about the problem of distracted driving. For more information, please call our office, or send us an email through our contact us page.